It’s a shame this match was on the pre-show because these two worked very hard to put on a great match. Del Rio sacrificing the first fall by hitting Kalisto with a chair was something a true villain would do. Del Rio’s intensity was on point and Kalisto sold everything like he was getting killed. Del Rio showed even more frustration after Kalisto scored the second fall. Strategy turned to frustration as the steel chair that served Del Rio well could have been his undoing if he can’t keep his emotions in check. The match was a little clunky at first, but got better as it went along. Lynch is a lot better of a wrestler than the casual audience gives her credit for. Banks kicked out of Naomi’s Rear View in a good near fall spot. The finish was a double submission with Banks applying the Bank Statement and Lynch locking in the Dis-arm-her for the win. This keeps both women strong should one or both get placed in the Diva’s title match at WrestleMania. This actually a fun match. The Wyatt Family went in vowing to destroy the giants of WWE, thus making themselves “GODS.” Big Show was a cheerleader on the apron for most of the match and Storwman manhandled the Babyface trio at every turn. Big Show military pressed Luke Harper and threw him out to the floor. Luke Harper and Ryback were the workhorses of this affair, especially Ryback which is weird to type. Ryback unveiled some new offense, including a dropkick off the second rope and running knees in the corner, just like CM Punk used to do, which is interesting they have real life heat with each other. Ryback pinned Harper clean with Shell-Shock. This was a surprise outcome considering the rumor mill has Brock Lesnar vs. Bray Wyatt pegged for WrestleMania. That doesn’t appear to be the case anymore. Brie was riding the sympathy train because her husband Daniel Bryan recently retired. She garnered the loudest reaction of the show up until this point. Brie did YES kicks and a missile dropkick in tribute to Bryan. Brie applied on the YES Lock, and transitioned into a single leg Boston Crab. Charlotte escaped, due to Brie’s injured knee, and applied the Figure Eight for the win. This was better than I expected and got better as the match progressed. The end result was no surprise and now my fingers are crossed in hopes that we get a Charlotte/Lynch/Banks Triple Threat match for the title at Mania. Styles beat Jericho in his first WWE match and Jericho won the rematch. Styles called for the rubber match, Jericho said no, but Styles made goaded Jericho into changing his mind. The underlying angle here was that Styles’ first win is eating up Jericho inside and wants the second win to cement who is the better wrestler. This was a great match with the crowd coming alive with dueling chants. I could watch these two wrestle each other forever and never get bored. Jericho kicked out of the Styles Clash, which I thought was too soon, however, that is why it was so shocking when it occurred. Styles immediately applied the Calf Crusher, which Jericho sold like a champ before he tapped out. Post-match activity saw Jericho teasing that he would attack Styles, but shook his hand instead. There were some decent jokes with Edge mentioning Kofi Kingston dropping his fake Jamaican accent. The New Day insulted various teams including the League of Nations, which was a random mention and likely means this is our tag team program heading into Mania. On paper, it sounds bad, but I’m going to give it a chance. It’s something new and allows The New Day to work as babyfaces. 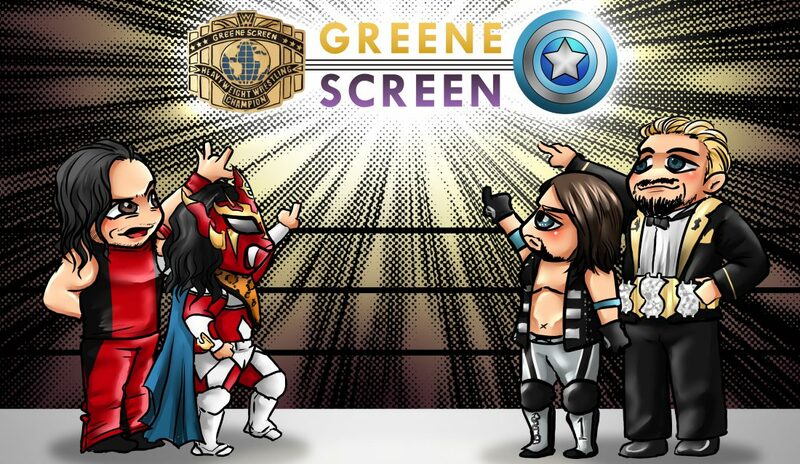 I understand that this match was on the main show to cool down crowd before the main event. However, it just came off as a complete waste of time and looked to advance the R-Truth/Goldust tag team angle that has no steam at all. This match was insane and told an entertaining story. Brock Lesnar owned both men early on with an onslaught of German suplexes. Ambrose and Reigns double teamed Lesnar with The Shield powerbomb through a table. Lesnar began to get to his feet and he was powerbomb bombed through a second table. This was the equivalent of King Kong and Mothra teaming up to take out Godzilla. Reigns and Ambrose nearly tore the house down as the fans really wanted Ambrose to win. Reigns kicked out of Dirty Deeds, which was ruined by Michael Cole’s “AMBROSE IS GOING TO WRESTLEMANIA” since that always means the he’s kicking out. Reigns set up Ambrose for a Samoan drop when Lesnar came back into the ring and German suplexed both men. Lesnar applied Kimura, Reigns powered up to his feet with Lesnar holding on, and Ambrose nailed him with a chair to break the hold. Lesnar rolled out of the ring and Reigns hit Ambrose with the spear and punched his ticket to the main event of WrestleMania. Triple H came out afterwards for a stare down with Reigns to close the show. Overall Thoughts: To an extent, the February pay-per-view handcuffs WWE creatively because you need to make something special happen for two months in a row heading into Mania. While the outcome of the main event was predictable, I applaud WWE for staying the course. Even though it only lasted a month, they got Roman Reigns over with the audience once before, they can do it again. Putting the focus on Dean Ambrose leading up to the match was a smart move in hindsight. Ambrose is the clear favorite with the audience and making him go through the ringer while questioning whether he can hang with a monster like Brock Lesnar gave you hope that he might actually pull it off. This allowed Reigns to sit on the sidelines and not get booed in the process. With Triple H vs. Roman Reigns now the official main event for WrestleMania, WWE has their work cut out for them if they wants Reigns’ coronation on April 3rd to be met with thunderous applause. 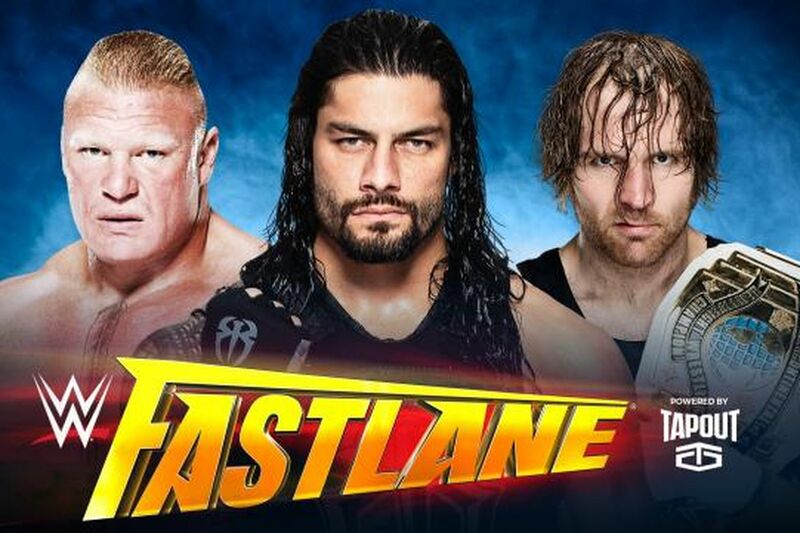 Fastlane 2016 was a better show than expected. The finished product should produce added excitement heading into tonight’s Monday Night Raw as we are now officially on the road to WrestleMania. ‹ John Cena Returning Soon?